The Technology-Techplus Conference and Exhibition, that held last week at Landmark event centre, Lagos; brands have continued to share the massive gains the platform provided for quality consumer engagement and direct sales in various categories. Rakesh Rocque, Country Manager, Innjoo Technology was full of praises for the organizers for creating a platform that enhanced direct engagement between consumers and the brands, and allowing for on-the-spot feedback and idea sharing. He said, not only was it a good marketing platform for effective networking and building of business contacts, the classes were quite informative and educating. “We will continue to key into the advantage of Techplus platform annually’’ he added. 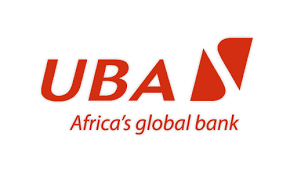 In his comments, Nonso Nduanya, Customer Service, Product Marketing, UBA, noted that, it was the banks’ first experience at Techplus, saying ‘he was impressed with the organization and customers response to the offerings was rewarding. He added that, if such huge platform is spread across major cities in Nigeria, it will help to foster consumer-brand relationships”. Still on a high positive note, Kehinde John, an exhibitor with Avon, a premium health Management Company revealed that Techplus 2017 has been a great experience in terms of contacts, quality of participants, good environment and remarkable support from the organizers. “Very few participants would not want a repeat after this type of excitement that was sustained for three consecutive days. I know the organizers will raise the bar next year” she said.